The International Organization for Standardization, or ISO (the acronym doesn’t make sense to us either) is a non-profit international standards-setting group with 162 national members, including the entirety of what we tend to consider the “developed world.” When they set standards for an industry, those standards become law in everything but name. It was inevitable that this body would eventually turn its attention to the ever-growing commercial drone industry, and as of Black Friday they finally have. That comment about expansion is crucial. International standards make it easier to trade goods between nations, since every ISO member knows that drones from every other ISO member are meeting the same standards of quality. 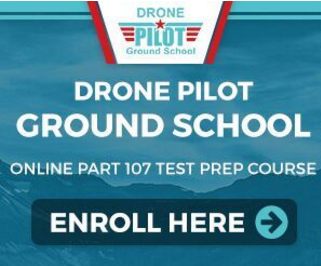 Official certification might also help to overcome one of the biggest problems faced by a drone industry that hopes to expand, which is the public perception of drones as dangerous and/or frightening tools of war and surveillance. We’ve read through these standards, and overall they seem very reasonable. They suggest the use of geo-fencing and counter-drone technology to prevent consumer drones from being flown over restricted areas (such as airports or classified military bases.) The standards also propose flight logging, training, and maintenance requirements – all of which are already common in US-produced drones and in most aviation authorities’ commercial drone requirements. The rules to ensure that operators respect privacy and data protection are perhaps a bit more demanding, but still very doable. Commercial pilots will be required to keep all hardware and software relating to their equipment up-to-date (which is hopefully already the case!) Operators must have appropriate systems to handle data alongside communications and control planning when flying, which is built into a lot of modern drones. However, the standards also propose that a fail-safe means of human intervention is mandatory for all drone flights. This is a less common feature among consumer and commercial drones – you can always land the vehicle, but the “fail-safe” specification sounds more like some kind of panic button to cause the drone to immediately stop in an emergency. Perhaps more explicit wording in the near future will explain the meaning of this section further. Still, the creation of ISO draft standards is overall going to be a very positive thing for the drone industry. It means wider adoption and more mainstream acceptance – plus, universal safety standards that will hopefully make the consumer drone market better for everyone. Be sure to read the proposed standards using the link above and leave a comment before January 21 if you have any concerns about the draft!